The specification decided by engine bench testing & actual racing. 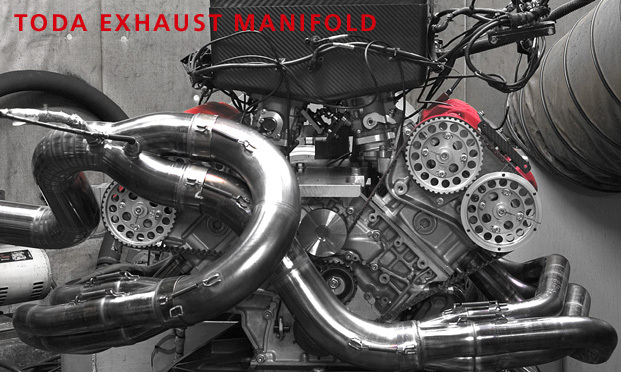 Exhaust manifolds manufactured by TODA racing are used in competition. Ideal lengths, diameters, and shapes are determined using the feedback data from racing and continual bench testing. For ultimate power the 4-1 type exhaust manifold design is the one to use. The problem is that power is only made from 4,500 rpm in the process removing drivability. TODA racing have designed 4-2-1 system which restores drivability 15 % more torque* with only 1.5% loss of power*. *TODA 4-1 bench testing manifold used for comparison. As used on all the latest 4-cylinder racing engines the 4-2-1 gives best result.